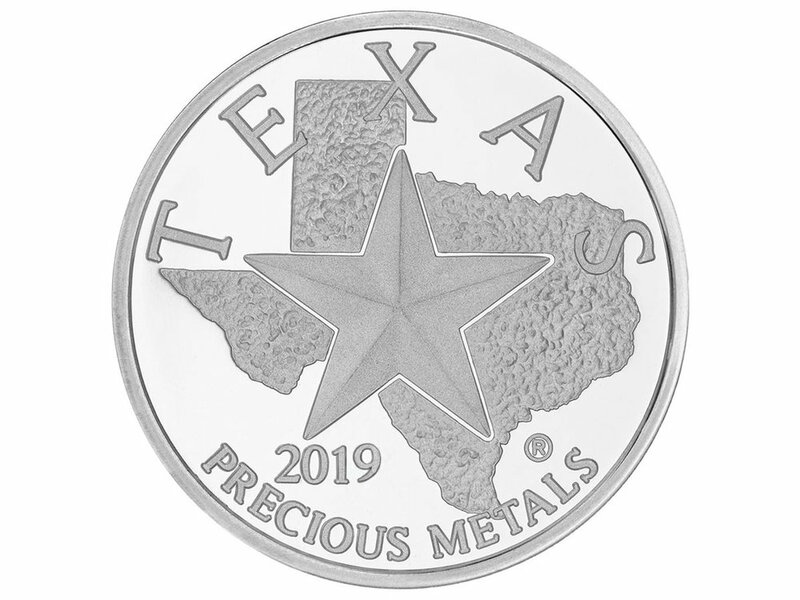 The stunning 2019 Texas Silver Round features iconography as diverse and dynamic as the Lone Star State itself. Three hallmarks of the state of Texas dominate the reverse of the round: the cowboy, the bluebonnet flower, and the Texas State Capitol. The rambunctious cowboy and the peaceful bluebonnets stand on opposite sides of the foreground with the Capitol building rising majestically between them. The wildly bucking bronco and cowboy duo is a depiction of the Texas Cowboy Monument, sculpted by Constance Whitney Warren and presented to the state of Texas — considered by Warren to be the “native home of the cowboy.” The life-size statue was a tribute to the “rough and romantic riders of the range” and and was erected on the Capitol grounds in 1925. 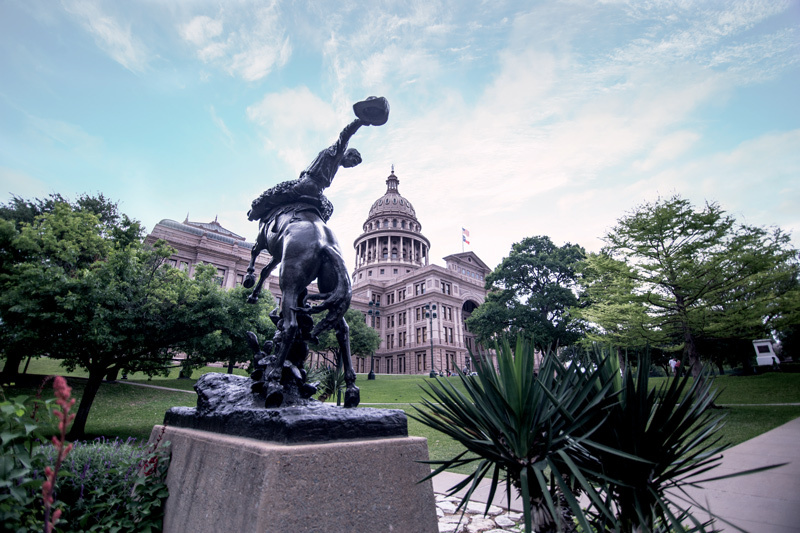 The cowboy is juxtaposed with the pair of bluebonnets to the right of the Capitol. The state flowers, known to paint entire fields blue in the spring, protrude peacefully from the edge of the round, with lush leaves and delicate stalks bending gently toward the Capitol building. The Texas State Capitol dominates the background of the round. The Capitol is pictured from an angle, with the south facade and its fluttering flags clearly visible. The dome is prominent in the tableau, the elegant arches and columns hoisting the statue of the Goddess of Liberty toward the top of the round. The Texas Silver Round’s specifications – “.9999 Silver • One Troy Oz” – are engraved over the Capitol, communicating the unique purity of this round only matched by select products from the Royal Canadian Mint and the Perth Mint of Australia. The trademarked silhouette of Texas mint mark, the official mint mark for the Texas Mint, is visible to the right of the bluebonnets. The obverse of the high-quality mint strike Texas Silver Round features Texas’ iconic lone star in the foreground. The smooth engraving of the star is framed by a textured topographical outline of the state of Texas. “TEXAS” arches proudly over the top of the round’s obverse in large capital letters, with “Precious Metals” presented inversely along the opposite side. The round’s mintage year is engraved in the bottom left of the round, just southwest of what would be the Rio Grande bordering Texas and Mexico. 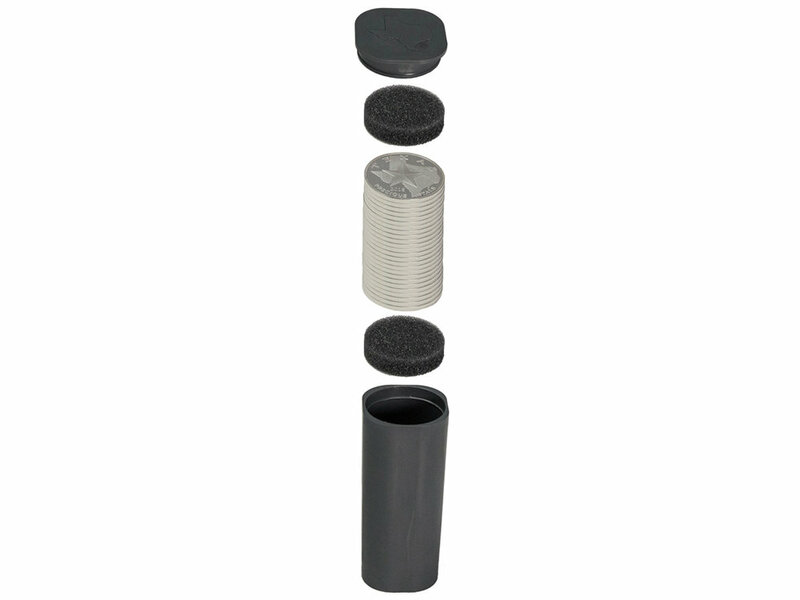 The Texas Silver Round can be purchased in a monster box produced exclusively for the Texas Mint. 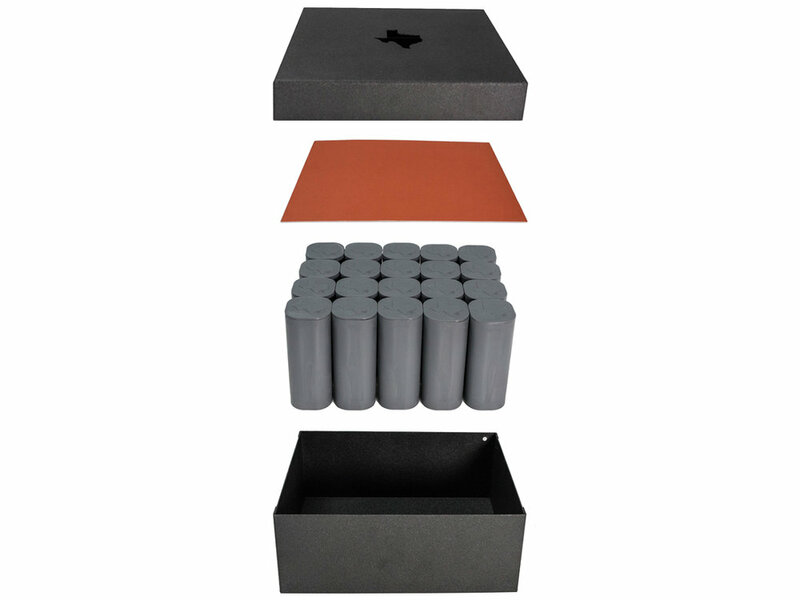 Packaged in 20 protective tubes of 25 rounds each, the monster box holds 500 1-ounce Texas Silver Rounds. 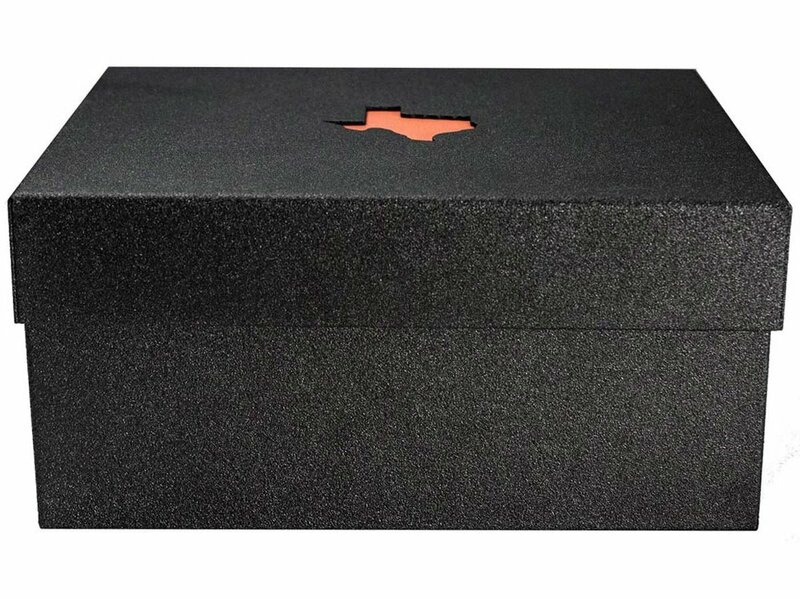 Built from durable cold-rolled steel and finished with a matte black powder coat, the monster box lid features an orange cutout of the state of Texas. 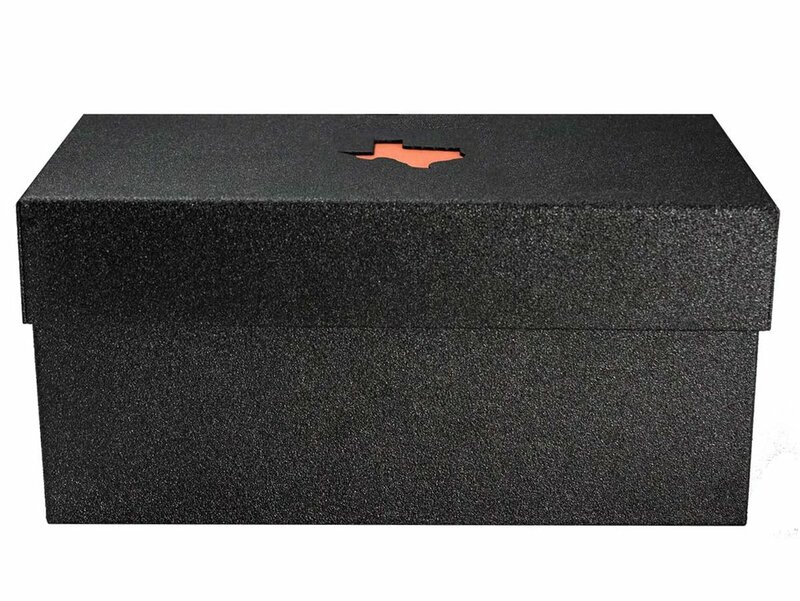 Each sealed monster box is secured with a unique serial number and a holographic seal to ensure maximum product protection. 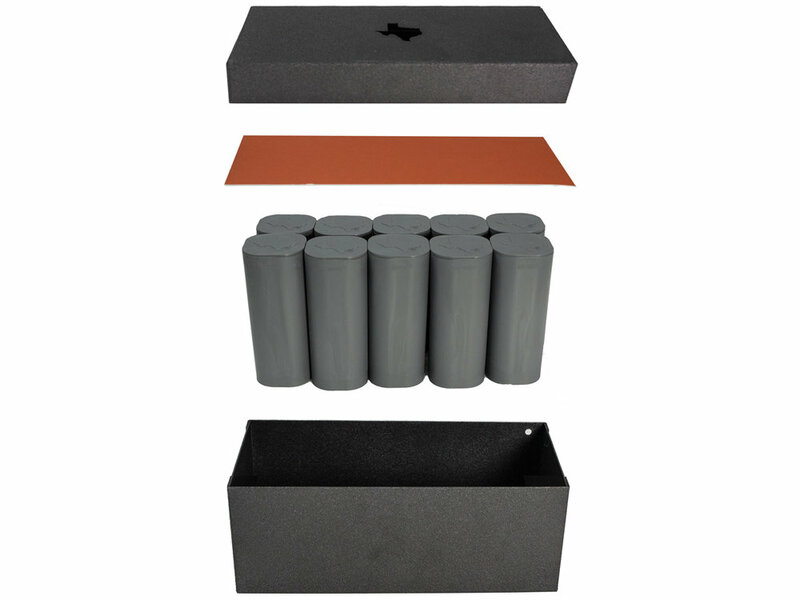 The Texas Silver Round is also available to purchase in a similarly designed and secured mini-monster box, which contains 10 protective tubes of 25 rounds each for a total of 250 silver rounds. The Texas Silver Round is IRA eligible.